Danielle is the owner of a wildly successful home decor shop in Boston, MA called Neatly Nested Decor. Her style is impeccable and naturally her home was straight out of a magazine. I had the pleasure to photograph their announcement that they were expecting back in the winter on the streets of Boston. They grabbed some coffees from Starbucks and appropriately labeled them "Mom" and "Dad", that session was of course blogged, you can find it here. I knew I would be coming back to spend time with her in a few months for a maternity session and then again after to welcome her sweet baby. 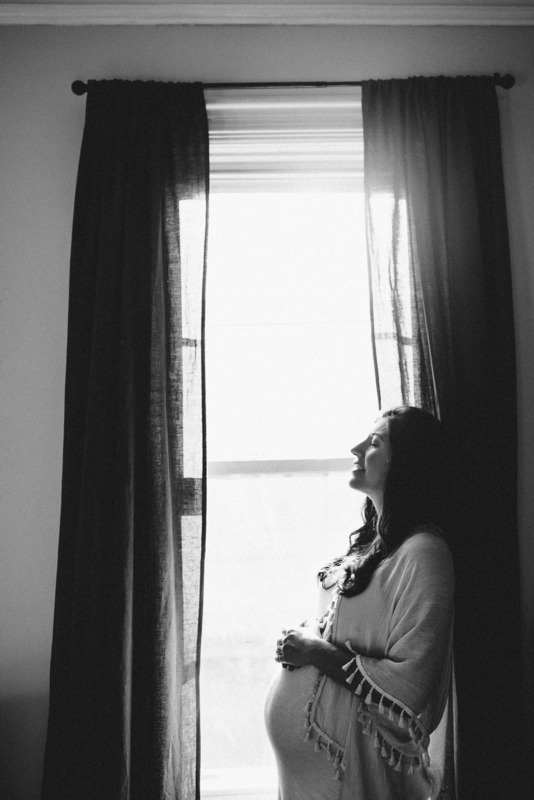 Danielle had envisioned an at home maternity session followed by a walk in Castle Park in Boston. It couldn't have been better.